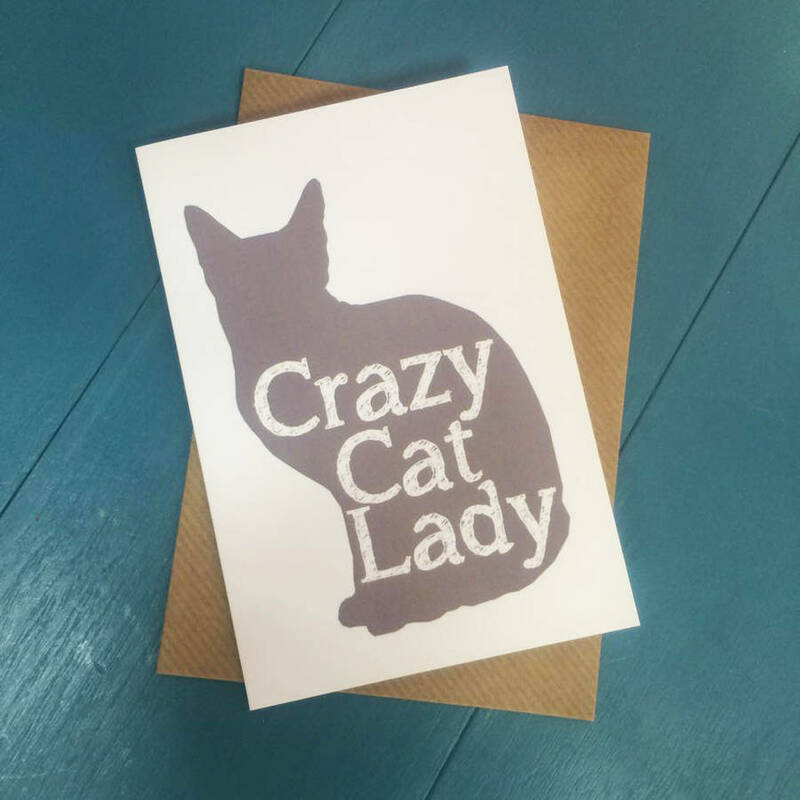 Embrace your inner Crazy Cat Lady with this quirky greetings card! Great as a greeting for the Crazy Cat Lady in your life! And even comes with a free cat hair inside, to save your felines adding one! Meow! Printed on quality 300gsm coated card and with a brown kraft envelope. Also available in Crazy Dog Lady! Check out my other items for more cat-goodness!